Bates Motel’s collision course with its own source material is coming sooner than expected, with TVLine reporting that the show’s fifth and final season—featuring Rihanna as Psycho’s famous murder victim Marion Crane—is arriving in February. That’s two weeks earlier than the show’s usual March start date, giving fans an early dose of Norman and Norma/n Bates. 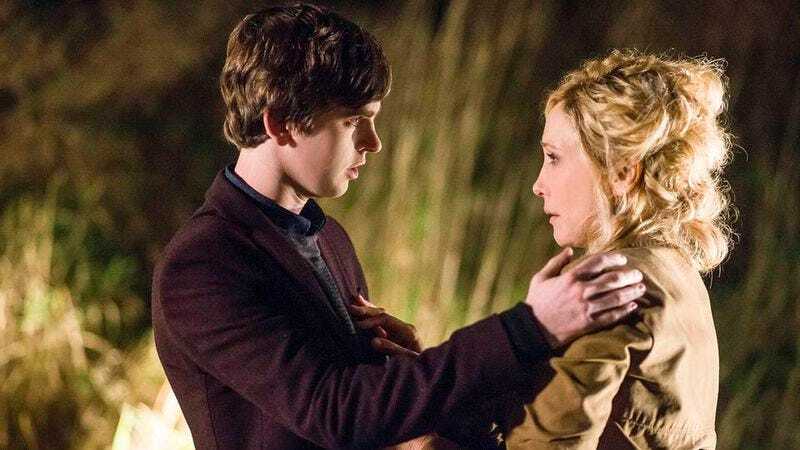 Last year’s season of Bates Motel ended on a decidedly ominous note, with Norman finally taking the canonically mandated step of ending his mother’s life. If the season’s final scene was any indication, though, co-star Vera Farmiga’s not necessarily out of a job just yet, moving instead into the role of the murderous version of Norma Bates lurking in her son’s own head. Presumably, that means things are about to get even more violent and iconically soundtracked than normal around White Pine Bay, as the consequences of Norma’s death tragically play out. Bates Motel’s final, 10-episode season kicks off on February 20 on A&E.